Fans of Entertainment One’s (eOne) hit TV show Peppa Pig will be snorting with delight as everyone’s favourite little piggy heads to cinemas nationwide in a new big-screen adventure; complete with new stories and characters. 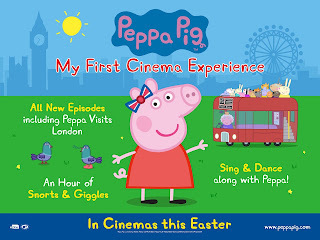 Set for release from April 7th 2017, ‘PEPPA PIG MY FIRST CINEMA EXPERIENCE’ is perfectly timed to entertain the little ones during the Easter holidays and May half term. Join Peppa in this exciting new preschool cinema experience, with plenty of snorts, giggles and jumping up and down in muddy puddles! Leading with ‘Peppa Visits London’, the first of the never-before-seen episodes, Peppa and her friends hop on board a double-decker red bus as the Queen takes them on an unforgettable tour of iconic London landmarks including Big Ben, Tower Bridge and Trafalgar Square. The other new ‘oink-tastic’ episodes include ‘The Police, ‘Canal Boat’, ‘The Zoo’, ‘Move to the Music’ and a four-part story in which viewers will join Peppa on an Australian holiday to visit her old friend, Kylie Kangaroo. Each of the nine brand-new episodes will be connected with never-before-seen interactive entertainment featuring live action Peppa and George characters and their friend Daisy, in her colourful new world. Little ones (and parents too!) can join in with games as well as singing and dancing along to new versions of their favourite nursery rhymes, including The Wheels on the Bus and Row Row Your Boat in this unique new offering for preschoolers. 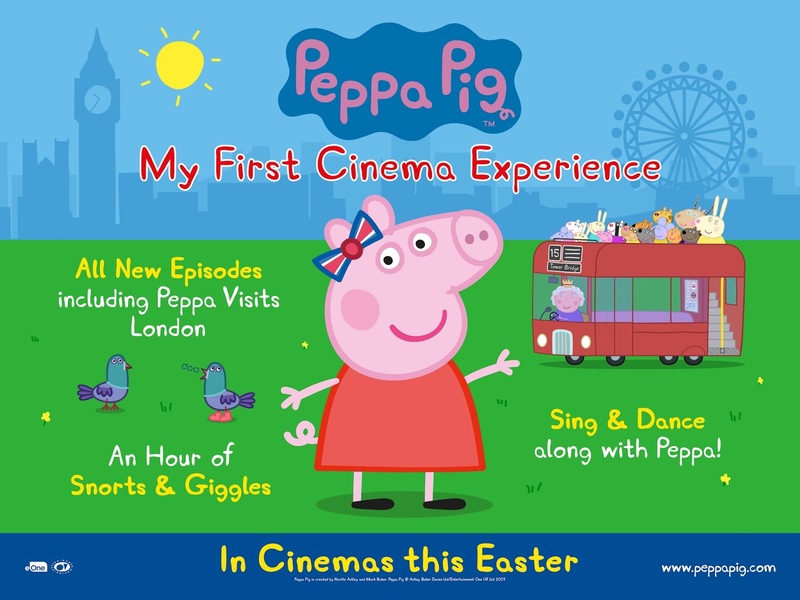 ‘PEPPA PIG MY FIRST CINEMA EXPERIENCE’ will be released in cinemas nationwide from 7th April 2017.